The Feed-in Tariffs are a government backed scheme that rewards the production of clean electricity through technologies that use renewable sources such as sun, wind, and water. So as well as making a difference, and saving money on your energy bill, your will receive additional income (usually on a quarterly basis) for the energy that your system produces. Payment rates for the scheme vary depending on the technology used, the size of the system, and when the system was installed. a) The generation tariff – You will receive a fixed amount for each kilowatt hour of electricity produced by your system, whether you use it for your own needs, or export it back into the grid. b) The export tariff – It is estimated that 50% of the electricity your system produces is exported back into the grid, therefore, you will receive a smaller fixed amount per kilowatt hour for that amount of energy. The period for which you will receive Feed-in tariff payments for PV, wind, and hydro systems is currently 20 years. 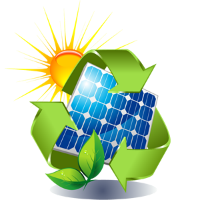 You can also use the solar calculator on this site to work out the potential savings and earnings that a photovoltaic system would be worth if installed on your property.